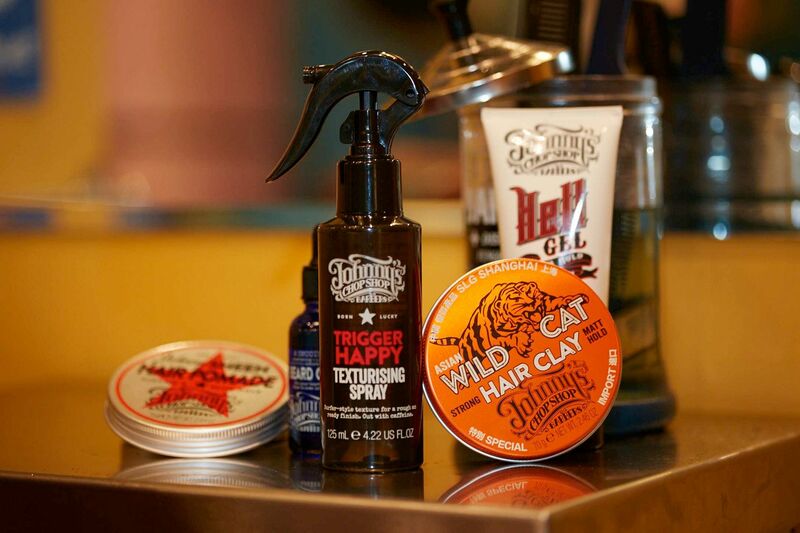 Carnaby Street has welcomed a new barber shop and lifestyle brand Johnny’s Chop Shop. Offering up traditional and contemporary haircuts alongside their own male grooming range. 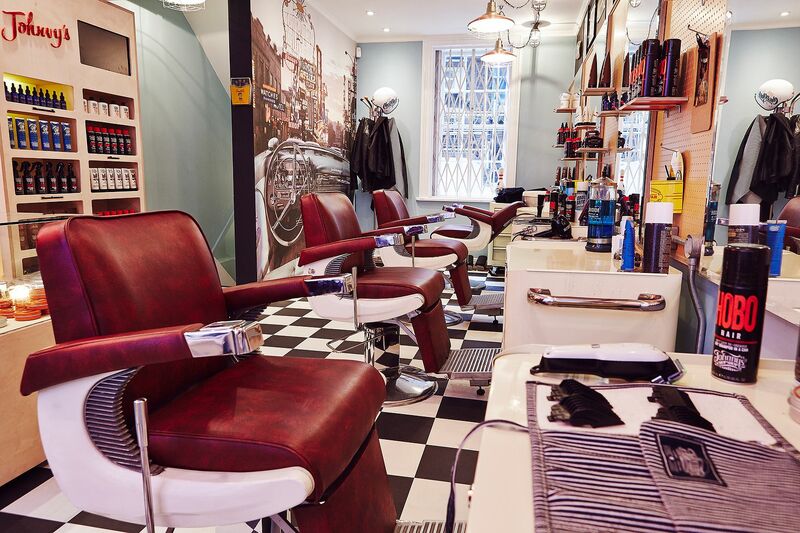 The shop is definitely a throwback to the traditional barber shops of old, with classic fixtures on the wall, retro cabinets and brilliant red barber chairs. The large cat neon sign behind the counter is also the logo for their Wild Cat clay product. It’s definitely very different to the likes of other barber shops I have visited such as Ruffians and Gentlemens Tonic. Dani was my barber, she sat me down at her seat, grabbed me a coke and we walked through what I wanted done to my hair. She quickly got the style I was after and got straight into clipping the sides. Dani is very personable and whilst cutting chatted throughout, as she expertly movied the chair around to cut the different contours of my head. She has a great eye for detail, using scissor over comb cutting technique to remove some of the extra weight around my funny shaped head. As well as taking care to ensure the length was short enough around the sides and back before starting on the top. She also asked if the length she was taking off was enough as I didn’t want too much off the top. Dani used a series of cutting techniques to remove the weight and adding texture into the top of my hair. The haircuts are only 30 minutes, as they don’t pre-wash the hair, so expect your appointment to fly by. To finish styling Dani applied the Johnny’s Chop Shop Trigger Happy texturising spray to my freshly cut and slightly wet hair before drying it to emphasize the desired choppy, rough and ready style I asked for. Once dried with a quick blast from the hairdryer, Dani finished the style with the Wild Cat hair clay. I was also sent some of the new products earlier in the week to try. My favourites were the Wild Cat clay, which is one of those clays that you just need a small amount to style with, even with longer length hair styles and will hold all day. The Hobo Hair dry shampoo is also a pretty neat idea. I don’t recall too many dry shampoo’s being released for men but it’s a great idea especially for those lazy blokes who don’t have time in the morning to wash, dry and blow dry. I have used it a few times and it’s great, just apply to the roots and ensure you rub through to the tips, it definitely de-greases your hair from last night’s product. The range is available in Boots – buy here. Haircuts at Johnny’s Chop Shop are £26 so it’s definitely in the affordable London hair cut ranges. I would recommend booking an appointment with Dani (Toastie is her nickname) as you’d expect she is getting busy. For more info on Johnny’s Chop Shop visit johnnyschopshop.co.uk and check out my other barber reviews here.